Did Gonzalo Garcia Pelayo Unlock the Secrets of Roulette? Scattered throughout history there are hundred of stories of people who claim to have unlocked the secrets of roulette. Lots of them are so long ago that we have little chance of verifying them – now little more than myths. However there are also quite a few like the Gonzalo Garcia Playo system that have been developed and used within living memory and there’s often lots of evidence available. In fact the story of Gonzalo Garcia Pelayo has actually been the subject of a lengthy court case brought by several casinos who believed he had been cheating. The Story of the Garcia Pelayo System. Gonzalo Garcia Pelayo was originally a record producer, and apparently not a very successful one – however he had other talents including being a very decent mathematician. Gonzalo also had something of a weakness for the game of roulette. One day the thought occurred to him, quite reasonably in fact, that if a specific roulette wheel was not 100% perfectly random then it was theoretically possible to exploit it. He believed that it was impossible that a wheel could be this perfect and that some level of bias towards certain numbers had to exist – the difficulty was how to spot this bias and use it. 1- Huge amounts of data on a variety of real roulette wheels. 2- A way of analysing the data to identify any real bias in the spins. The first step is actually quite easy to achieve although it does involve a huge amount of effort. Gonzalo recruited members of his family to ‘clock spins’ and gather huge amounts of data on the spins of various roulette wheels in Madrid. His children in particular would spend hours and hours in the casino simply recording the results of as many wheels as they could, we could nowadays achieve the same data from our homes of course by logging into a live roulette game online. But eventually he had at his disposal a huge amount of data on the results of spins in Madrid casinos. Whilst his long suffering family had been frequenting the casinos of Madrid, Gonzalo had been developing his system – a computer model written in QBasic a simple computer language I actually learn at school! His program analysed all the data and then assigned a value to each number on the wheel. The basic idea was that the more a number occurred in the results the higher the value assigned to that number. It’s sounds quite a simple frequency distribution analysis although there must have been much more to it !! What he ended up with was a profile of each roulette wheel, with a list of numbers which would supposedly be more likely to occur. This is the point where most experts (and me) would have dismissed Gonzalo’s secret roulette system as yet another over simplified strategy based on biased wheels or dealer tracking. However the crucial difference in this situation is that he then proceeded to win some serious money. He claimed that his system and analysis had overturned a normal house edge (advantage) of 5% in the casino’s favor to a 15% player edge. Although this doesn’t guarantee winning every spin of course – any sensible player armed with such an advantage would never lose over the longer term. His winnings from the Casino De Madrid peaked at over 600,000 Euros in one night, overall he took over 1 million Euros in winnings from this one casino. They were convinced he was cheating in some way and took the family to court in order to try and recover their losses. 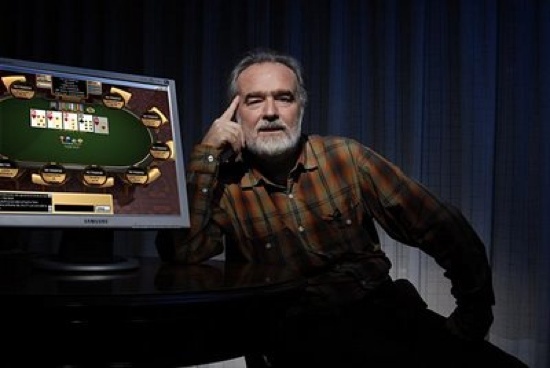 Eventually the Spanish courts all decided against the casino stating that Gonzalo had used only intuition and inventiveness to win and had not in fact discovered some illegal secrets of roulette. In fact the Supreme court suggested that the casino was largely to blame for using a biased wheel ! Unsurprisingly both he, his family and the Gonzalo Garcia Pelayo system soon became persona non grata in every casino in Spain. He soon tried his luck in Las Vegas and apparently made more money there. But remember if you want to emulate Gonzalo, don’t waste your time analysing the results on normal online roulette games which are merely computer simulations (although theoretically you can look for weaknesses in their random number generator I guess). You’ll need real games, on real tables, in real casinos to look for any bias – there are actually only one or two currently available but I’m sure that’ll change. Dublinbet is recommended – it’s a live feed from a great casino in Fitzwilliam Street in Dublin – so you play the same spins as the punters physically there. If not stick to the big names, something like the free games at Bodog Roulette will work well.